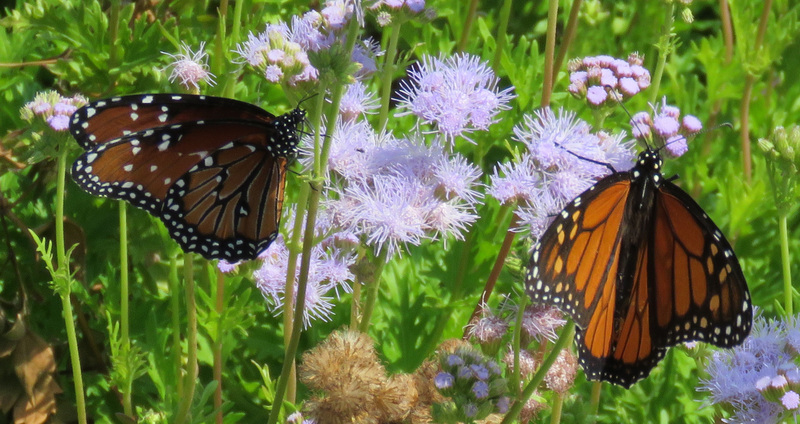 On our way out to the Hill Country, we stopped at a rest area that has beautiful gardens of native plants. 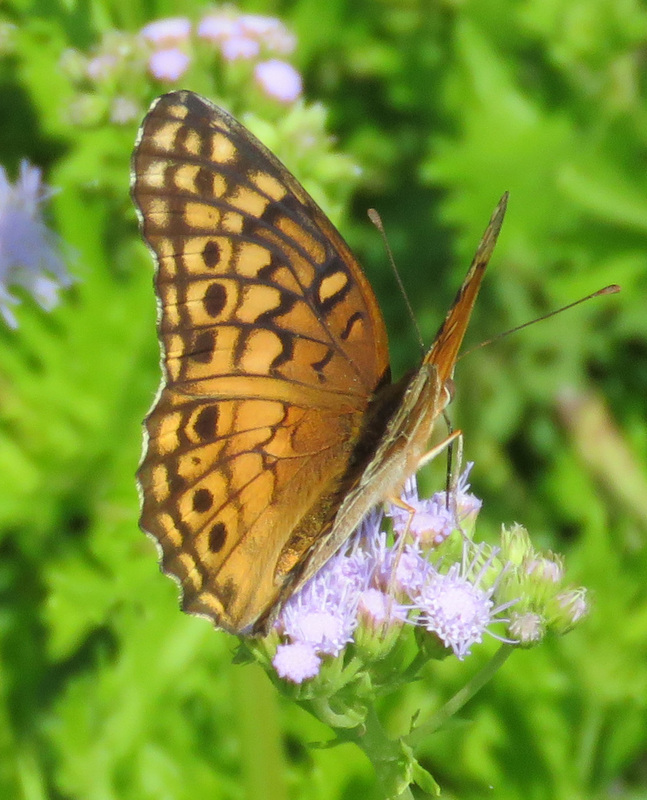 The butterflies were out in force, and my camera cooperated, and I got some good pictures! Variegated Fritillary, Euptoieta claudia, dorsal view. 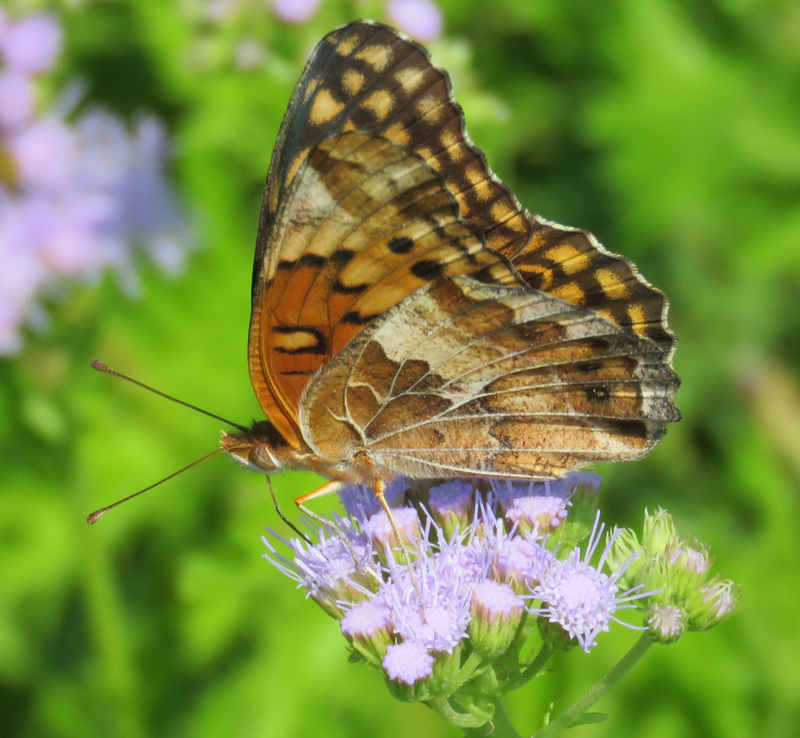 Variegated Fritillary on ageratum. Can you find the spider? 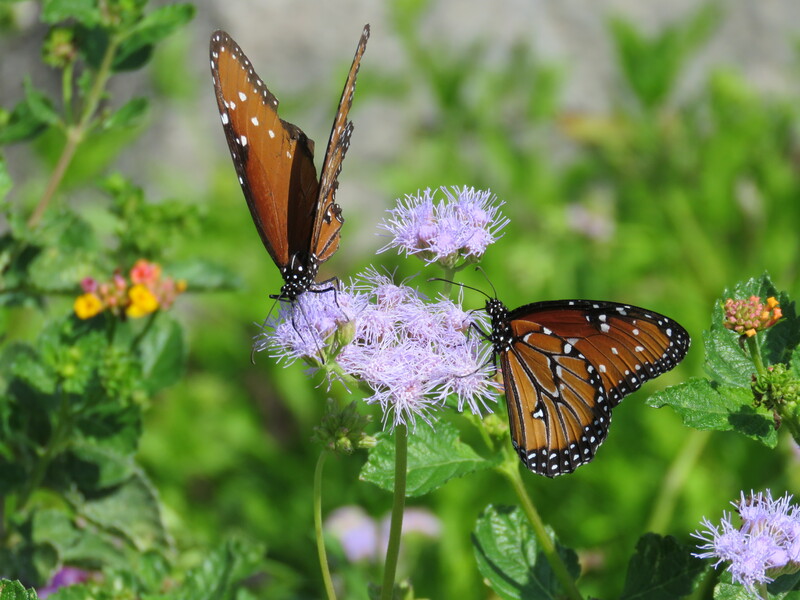 Queen butterfly on left, Monarch on the right. They look very much alike when their wings are closed. 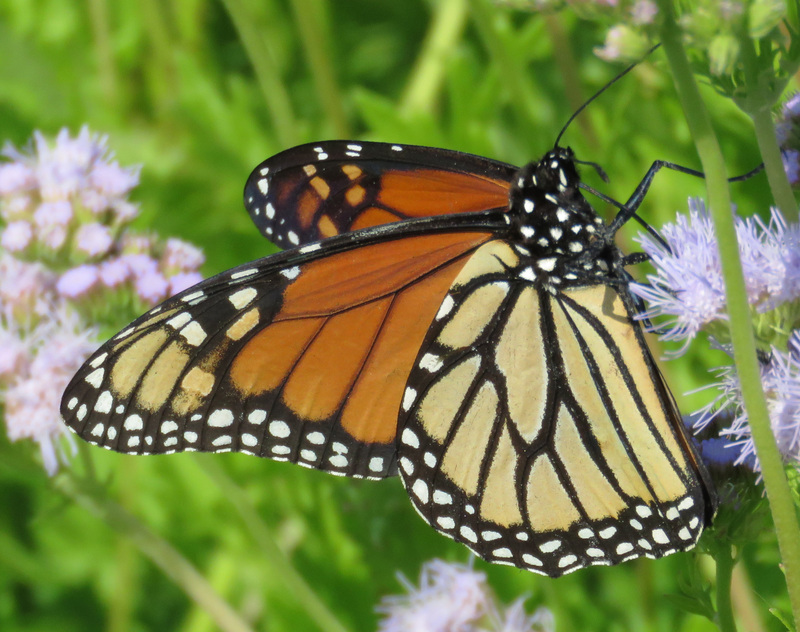 With wings open, the Queen is easy to distinguish from the Monarch. This one has had some trials and tribulations! It would not stay still! This was the only dorsal view I got! 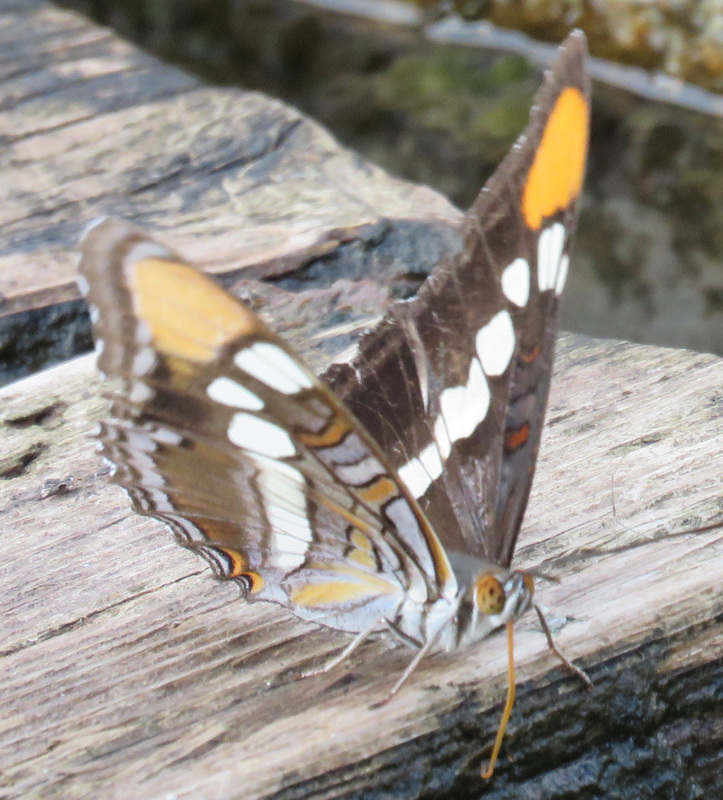 A very distinctive, but mysterious, butterfly. What beautiful orange and lavender shading! 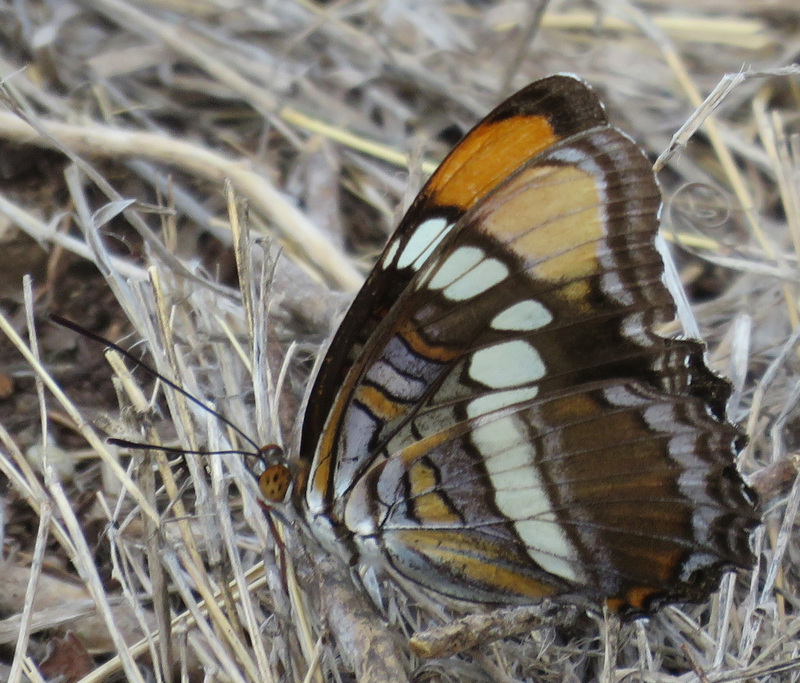 Arizona Sister, Adelpha eulalia. 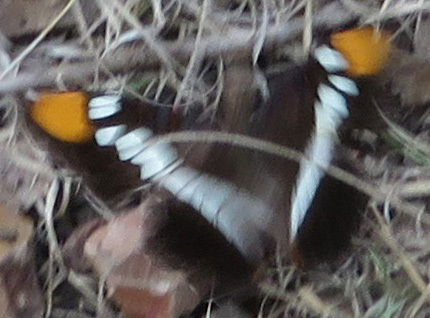 So I submitted it to the wonderful site Butterflies and Moths of North America, and in just a few hours, the identification came back — it is an Arizona Sister, Adelpha eulalia, which has recently been recognized as a separate species. I really could not have been happier if I had discovered the species myself! My Audubon Guide is from 1992, so that information was not in the book. 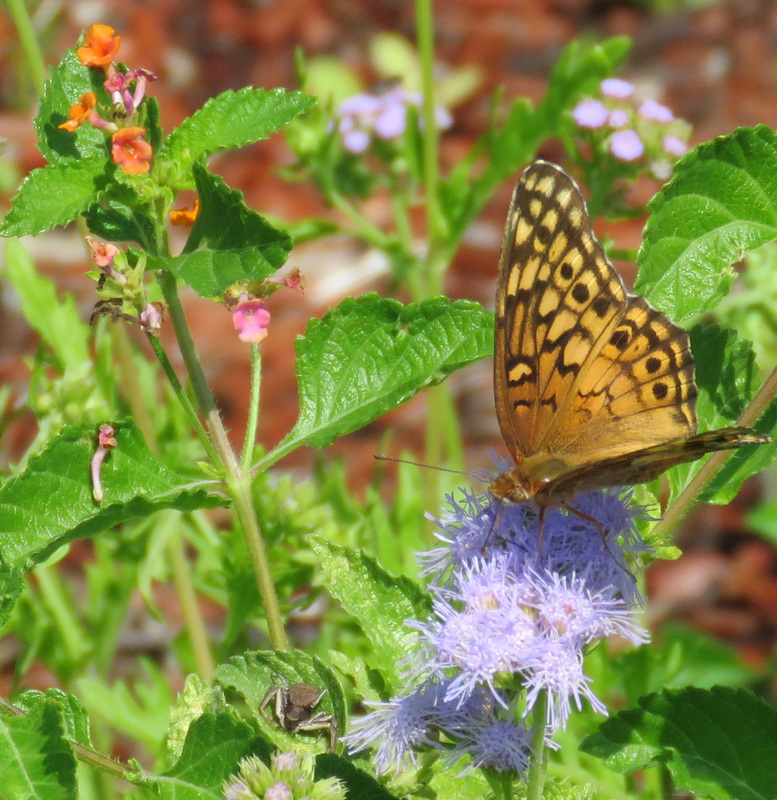 I am so grateful for all the citizen science websites out there — I would have never identified this butterfly on my own. Here is the sighting on the BAMONA website. A little technical information: I got the Latin names of the butterflies from the book Butterflies of Houston and Southeast Texas by John and Gloria Tveten. 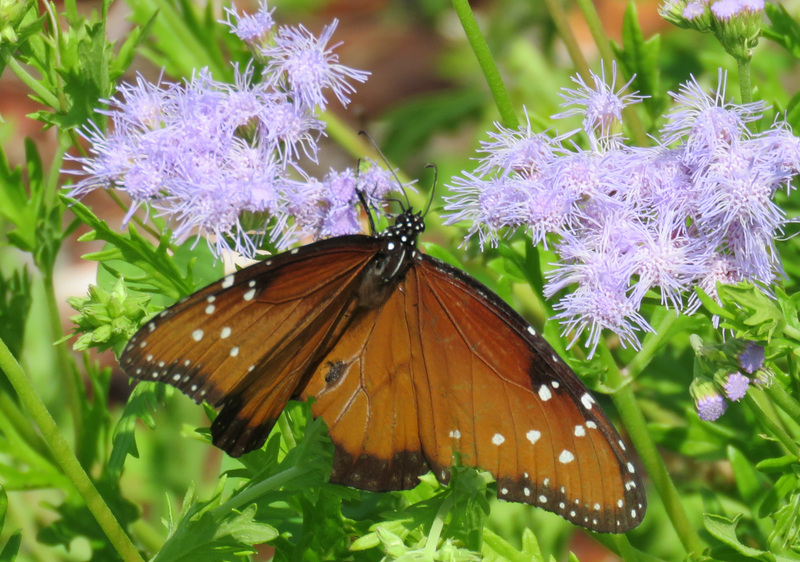 I read there that we in Texas get a huge number of butterflies in the fall, because we have the Northern migrants join our year-round residents. We don’t get much color change in our foliage, but I guess the bird and butterfly migration makes up for that! Also, I took all of these pictures with my camera set to “Auto”. They were taken at 1/640 of a second, f/5.6, and ISOs of 120 to 160. 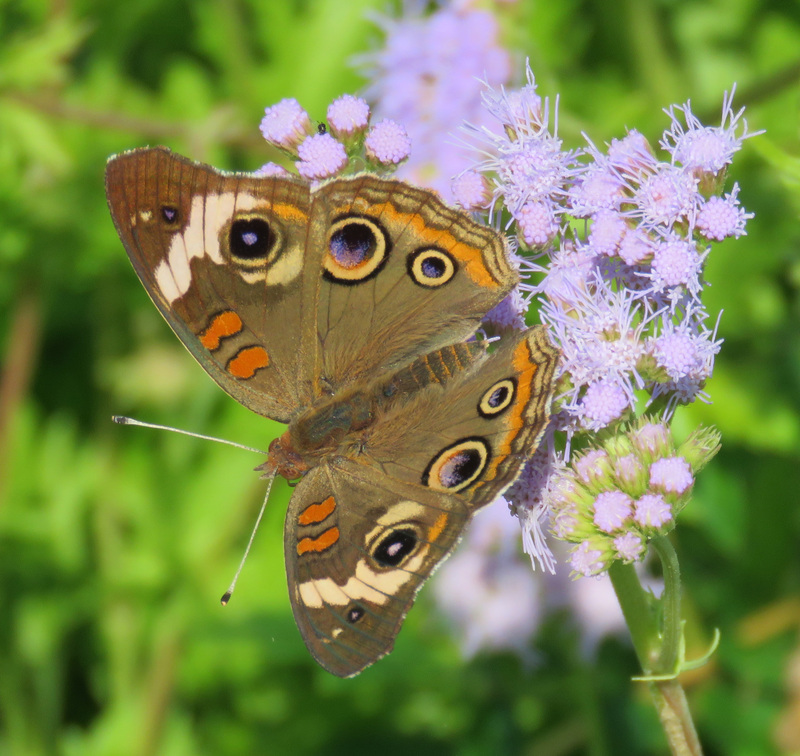 Beautiful beautiful butterflies – such extraodinarily lovely creatures, expertly captured in your photos. I just love them. Fantastic detail captured in your photos. Gorgeous. Beautiful! And thanks for the camera settings info. !